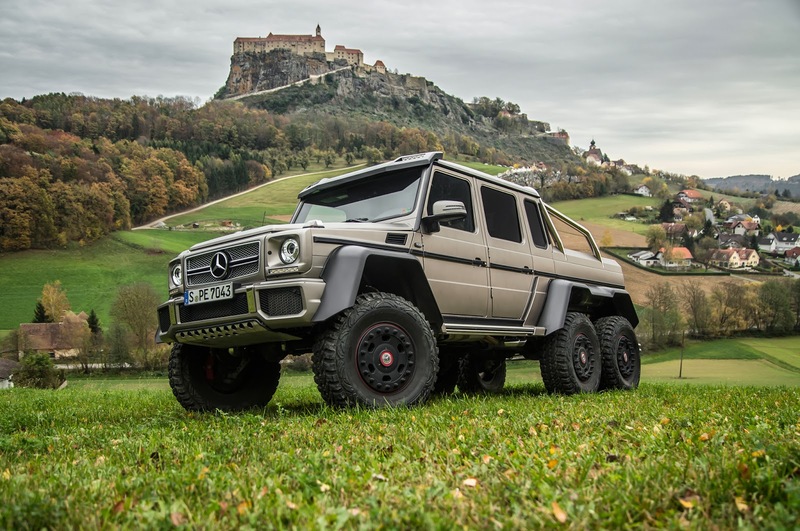 Carnation Auto Blog: Mercedes-Benz G63 AMG 6x6 Concept - Insanity At Its Best! Mercedes-Benz G63 AMG 6x6 Concept - Insanity At Its Best! 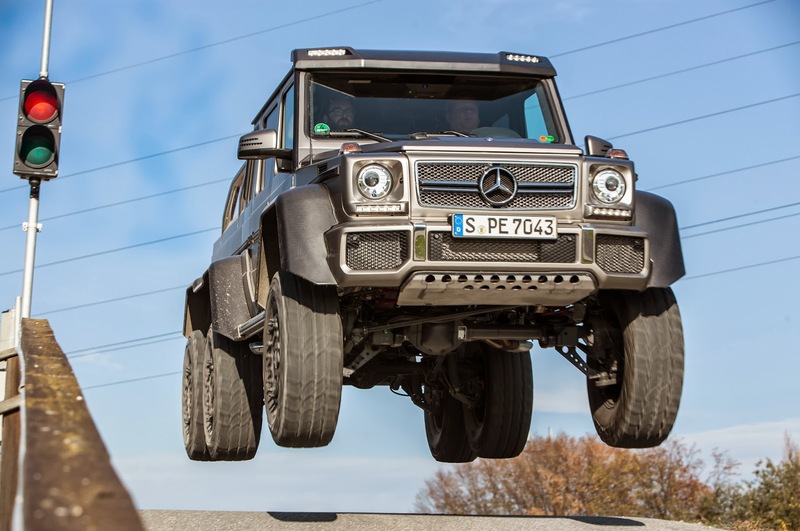 Mercedes-Benz created an brand new niche with G63 AMG 6x6. This concept has muscles, looks and luxury. A powerful vehicle for all terrains, G63 AMG 6x6 is an insane masterpiece. With 544 HP and 560 lb-ft of torque to all the six wheels of Mercedes-Benz G63 AMG concept, this car surely creates storm in the brand new 6*6 segment. It has 5.5-liter V8, 7 speed gearbox and a ground clearance of 15.75 inches. The massive 37 inch tires allow the car to cruise through desert, rocks and snow with flamboyance. G63 AMG 6x6 can reach 0-60 mph in just seven seconds. You can easily adjust the tire pressure for driving in different terrains. G63 AMG 6x6 is based on G-Wagen, which was especially designed for Australian armed forces however the G63 AMG 6x6 is full of luxury options unlike G-Wagen. The interiors flaunt diamond-quilted leather and the center console is fitted with carbon fiber. Longer, taller and wider than Chevrolet Suburban, the all new G63 AMG 6x6 can handle any types of terrains. It has advanced technologies like off-road tires, 18 inches of ground clearance and five locking differentials. Currently this concept is available in two colours such as White and Matte Gray. Priced at Rs.1,85,58,000, the brand new G63 AMG 6x6 will surely create huge impact in the entire automotive industry.